provides a personalized view of the Projects and Tasks that you have access to. You can view the calendar in Month, Week, or Day formats and click back and forward between periods as desired. You can move any event by dragging it to the preferred date range. 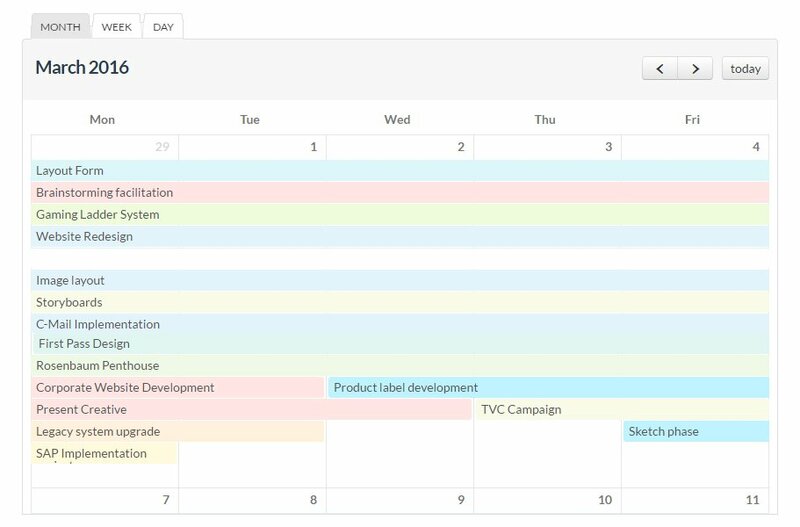 You can quickly drag whole Projects and Tasks to new positions within the Month, Week, or Day views of the Calendar. You can also rollover the end edge of a Project or Task and drag it to create a new end date. When you drag a project to a new position, its child tasks will automatically move with it.